University of Florida College of Law, J.D., with honors, 1989. Florida Bar, Section on Environmental and Land Use Law. Eric Olsen assists clients across the State of Florida on issues related to environmental regulation. He has been practicing in this area for over 20 years. He primarily focuses on wetland regulation, mitigation banking, stormwater regulation, consumptive use or water use permitting, water supply, and underground injection control. 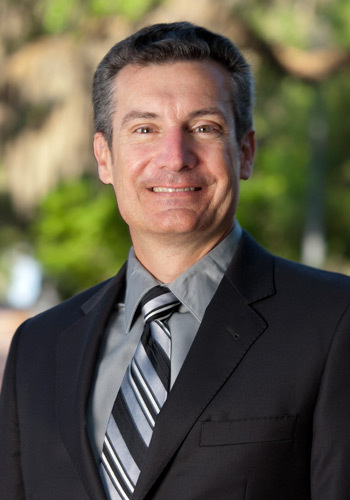 Eric started in this area as an in-house attorney with the St. Johns River Water Management District. Represented clients before the U.S. Army Corps of Engineers, United States Environmental Protection Agency, and U.S. Fish and Wildlife Service, to obtain permits and solve enforcement issues under section 404 of the Clean Water Act. Demonstrated to Corps that wetland impacts could not be avoided and proposed mitigation was adequate. Worked with U.S. Army Corps of Engineers, EPA, and U.S. Fish and Wildlife Service to prepare and execute mitigation banking instruments providing federal approval to many mitigation banks in Florida. Resolved issues relating to financial responsibility and land protection for mitigation banks, and issues involving proper credit award, mitigation bank operation, and proper service area. Has obtained consumptive use or water use permits for water utilities, electrical power plants, rock and sand mines, recreational facilities, and agricultural operations. Work on these permits involved resolving issues related to quantity of water needed, interference with other water users, potential environmental impacts, and compliance with established minimum flows and levels. Addressed third party objections relating to an Environmental Resource Permit for large land development project in Collier County, thereby allowing the project to be permitted and proceed. Defended lakefront landowner in designation of Lake Disston as an Outstanding Florida Water to ensure designation did not impact development rights. Obtained state wetlands, stormwater, and water use permits for a large biofuel agricultural operation using Florida’s expedited permitting program. Developed and helped enact legislation restricting the ability of water management districts to accept money as wetland mitigation (in-lieu-fee) to prevent unfair competition with private wetland mitigation banks. Developed and helped enact legislation providing funding for alternative water supply projects, requiring the water management districts to engage in water supply planning, and providing for the reuse of reclaimed water. Successfully defended permit applicant in litigation brought by third-party opponents involving challenge to Underground Injection Control permit associated with electrical power generation facility. Developed and helped enact legislation eliminating overlap between injection well construction under the Underground Injection Control program and the water management district water well construction program. Involved in drafting and lobbying legislation governing environmental resource permitting, wetland delineation, mitigation banking and water use regulation. Former Senior Assistant General Counsel, St. Johns River Water Management District 1990-1999. Worked with statewide inter-agency teams to develop statutes and rules regarding Environmental Resource Permitting, wetland mitigation banking, stormwater regulation, and water use and water supply regulation. Mitigation Banking Under the Florida Environmental Reorganization Act of 1993, 68 Florida Bar Journal 68 (July/August 1994). Required Rulemaking Under Florida’s APA: An Analysis of ‘Feasible’ and ‘Practicable’, 67 Florida Bar Journal 62 (July/August 1993). Regularly lectures on the subjects of wetland delineation, wetland permitting, and mitigation banking at Florida Chamber of Commerce environmental permitting courses, Florida Bar presentations, CLE International courses, and National Mitigation Banking Conferences. Regularly lectures on the topics of consumptive use permitting and water supply at Florida Chamber of Commerce environmental permitting courses, CLE International courses, and Public Utility Research Center and the Askew Institute, University of Florida, conferences. Legislative summaries published in the Florida Bar’s Environmental and Land Use Law Section Reporter. Listed in Chambers USA, 2012-2018 Editions. Named the Best Lawyers 2013 “Lawyer of the Year” in Tallahassee for Water. Listed in Best Lawyers in America, for Environmental Law, Litigation – Environmental and Water Law, 2007-2019 editions.